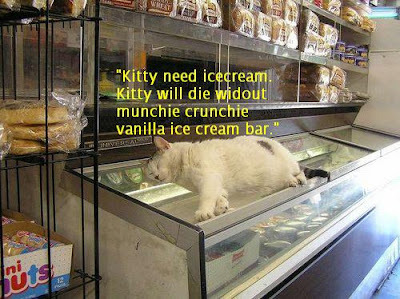 Someone get that kitty ice cream STAT! Just open the lid and let him drop into the freezer. That picture is just about the saddest thing I have ever seen. What's wrong with you, Kitty? Haven't you heard of chocolate?